When I first created this blog I wanted to make it a point to teach women more about their hair so that they would be in a position to take care of their own hair. I know I'm a professional hairstylist and everything but let's face it, everyone may not be able to make it to the salon all of the time. Things happen, I totally get it. And for this reason, I want to be able to give you knowledge that will help you get the healthiest hair possible so that you have no excuse to walk out of the house with your hair looking like a piping hot mess. With that being said, I am excited to start this new series that I will be doing weekly called Toya's Tips. With the tips, I'll be giving at least one hair tip per week that I get a lot of questions about. I'll answer the question along with giving you the resolution as well. 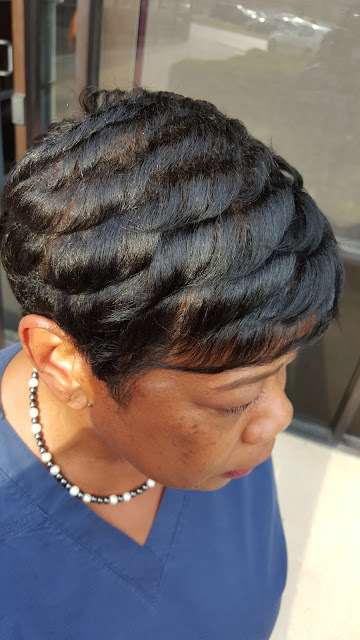 Hair moisturized with Silk Hydration products. 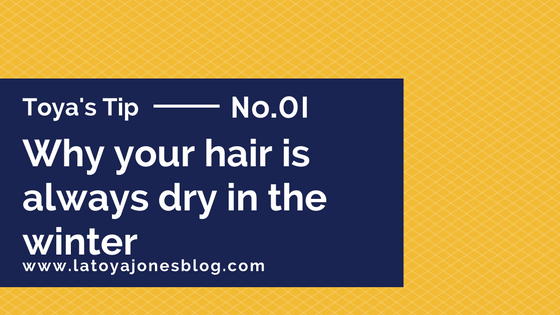 Today's tip comes from the question why does the hair seem dryer in the winter? The answer to this question is that the air in the winter is so dry that it also makes our hair dry. 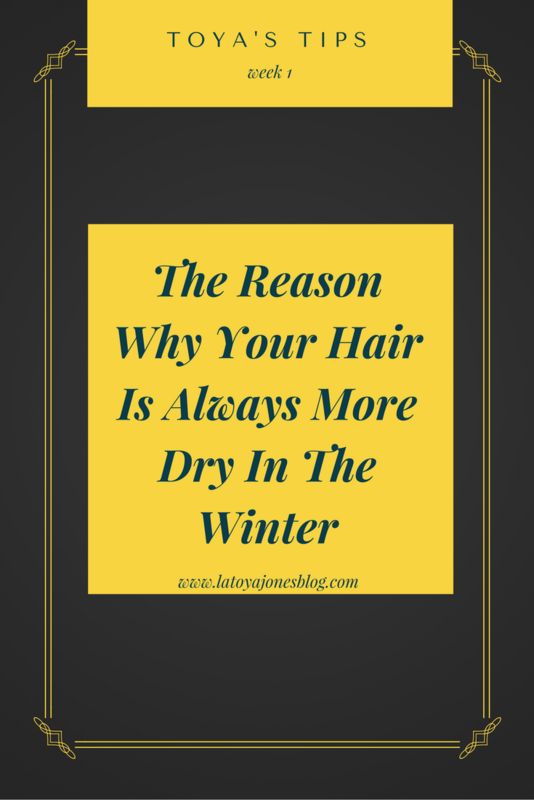 In the warmer months, there is much more moisture in the air and our hair benefits from that. To combat dryer hair in the winter, use more moisturizing products like Silk Hydration by L. Jones Extreme Moisture Shampoo, Replenishing Conditioner, Intense Moisture Treatment, & Leave-In Conditioner. All of these items hydrate the hair extremely well and make up for the moisture lost in the air. were used to keep this hair moisturized. Do you have new products coming out? I love your line. Could you make a video about that? Please?